Small Heating Stainless Steel Type Reactor , Electric heating& steam heating reaction kettle are widely used in medicine, buildingmaterials, chemicals, pigments, resins and food industries, with characteristicsof rapid acceleration, high temperature, corrosion resistance, hygiene, andpollution-free, and no need boilers heating automatically, easy to use, etc..
Other special specifications can be designed. Hot oil circulation heating is suitable for reaction kettles and resin devices of over 500L. Please state the max. working pressure and temperature and working medium when ordering the equipment. Looking for ideal Small Heating Type Reactor Manufacturer & supplier ? We have a wide selection at great prices to help you get creative. 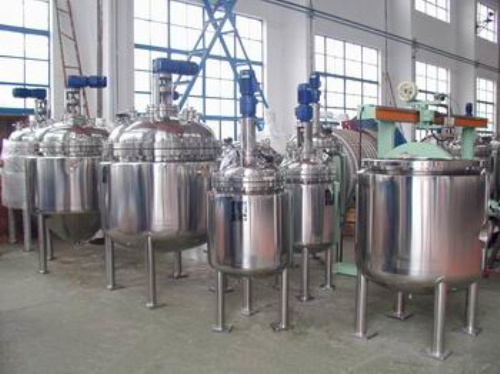 All the Small Stainless Steel Type Reactor are quality guaranteed. We are China Origin Factory of Small Steel Heating Reactor. If you have any question, please feel free to contact us.